The emergence of experimental legally autonomous startup zones in Honduras and other places is one of the most exciting developments in a long time, and forebodes the collapse of the copyright industry's tyranny over culture and knowledge. I believe in competition. I believe in experimentation to see what works best and what can be predictably repeated – call it the scientific method applied to society, if you like. This has been a problem geopolitically, as the United States has guaranteed its global rent-seeking by bullying other countries into so-called “free trade” agreements that are, in the best kind of newspeak, the exact opposite: they are agreements to prevent free trade in favor of incumbent monopoly holders. But a monopoly only lasts as long as all involved countries respect it. In particular, a monopoly that touches the Internet – one such as the copyright monopoly – requires the cooperation of every single country connected to the Internet to live yet another day. The first country to defect from this oppressive monopoly construct will cause the floodgates of culture and knowledge to open – imagine The Pirate Bay located in a country where it is declared 100% legal, and where it is rightly illegal to harass its enormous library. We have China, which has a different cultural and idealistic tradition than Europe and the Americas – Asia works on a timescale of generations and centuries, rather than one of weeks and months. There is patience to a degree unheard of in the West. The Chinese have economic clout comparable to the US and Europe, and are anything but stupid. They are copying the Intellectual Protectionism (IP) regimes of the United States, seeing how they can benefit the Chinese once China has taken the lead: protectionism works to preserve incumbence, and the Chinese understand this perfectly. So while the mechanisms may be preserved, their initial purpose may be subverted to a new geopolitical power than the one they were constructed to maintain. Lastly, there is Latin America, which holds no love for the United States on any level after the interventionism of the past 50 years. Economically, they have half the GDP of the US or Europe, and so, they can’t compete on brute strength. However, they can compete with raw competition of the framework, and this appears to be one of the most exciting geopolitical developments in a long time. Yesterday, it became clear that legally autonomous startup zones (plural) will be established in Honduras and other locations, with Panama and Guatemala watching the developments with great interest. A legally autonomous zone is a small location that gets to write its own experimental laws, in order to compete on a small-scale with country-level laws to find out at a laboratory scale if something works immensely better. As many of these are planned in Latin America, and Latin America is rightly and royally sick of the copyright monopoly, I’m hopeful that one, just one, of them will ditch that monopoly concept in favor of real free trade and actual ownership rights. 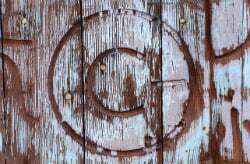 On an international network, it only takes one single country to declare the copyright monopoly obsolete for the entire planet to lose any and all copyright monopoly function. Now, we’ve arrived at the point where it only takes a single autonomous Internet-friendly startup zone to do so. To illustrate, the book 1984 by George Orwell is still under copyright monopoly in the United States and Europe, but not in Australia, where it is published as public domain. This is something that is thoroughly illegal to distribute in Europe and the United States, but you can access it from there just fine, because it is legal to distribute in Australia, and Australia is connected to this thing we know as the Internet. Now, imagine if one country – or one autonomous zone – desired to do this for all of humanity’s knowledge and culture, as part of free trade and free judicial competition. The future looks immensely bright, and there is no copyright monopoly there at all. It only takes one single jurisdiction to topple the entire oppressive construct worldwide.